I love the Martial Arts and the discipline it teaches. Growing up in the South side of Chicago was no walk on the beach, and the arts saved my life on many levels. I was able to protect myself as well as my loved ones in times of need, without being the aggresser. At the age of 20, while most of the people I knew my age where in jail, I was able to participate in the 1984 Olympics in the Wu-Shu Federation where I placed 2nd. I am truely greatful for the life skills and ethics that it has instilled in me. Continue to hone my skills as a security officer. To have a place of employment that has unlimited growth potential. Serve and protect the interests of clients. To be employed at a place that holds customer service as a top priority. Continue to participate in cutting edge securities training. To have a long term rewarding career as a security officer. Traveled Metro Atlanta area to secure client locations. Implemented crowd control strategies which resulted in safer entertainment venues. My position at Taurus Protection Agency I worked and secured apartment complexes Condominiums and also factories and warehouses. Responsible for secureing multi -million dollar construction site. Taveled Metro Atlanta area to secure client locations. 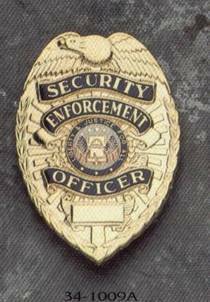 Provided executive level security services for community and business leaders. Orchestrated new security tactics to ensure client safety. Participated in cutting edge training classes. 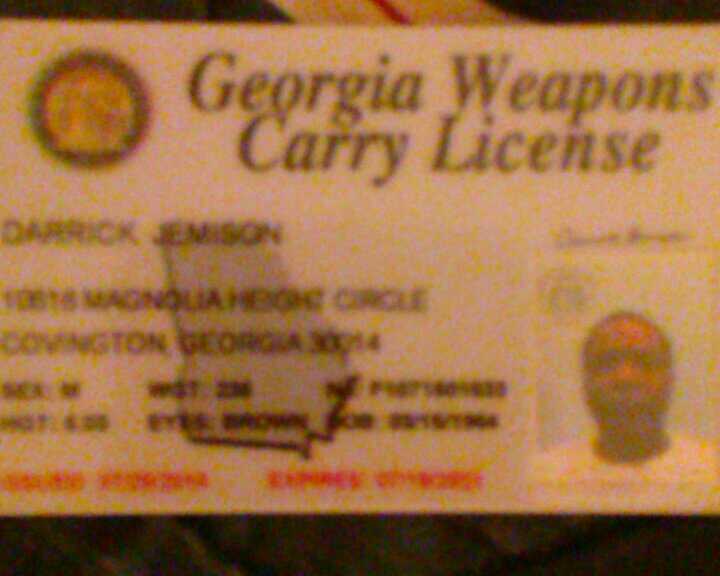 Updated my firearms training and license. Scored 100% on written exam. Was able to engage target profficiently during range training. Trained in detection of bombs and weapons of mass destruction. 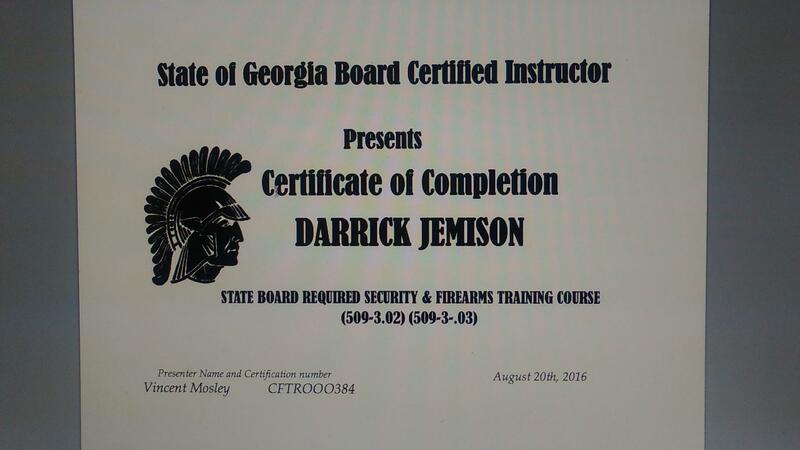 This letter is to certify that the listed personnel have completed the (40 hours) of required security and firearms continuing education training by The Georgia Board of Private Detectives and Security Agencies. 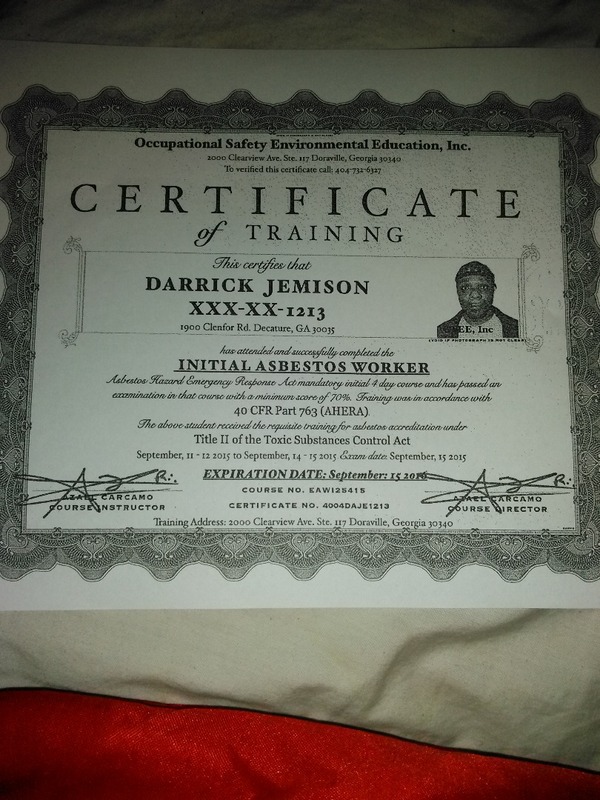 The instructions were given by a Georgia Board Certified Instructor Vincent Mosley (CFTR000384). The training location was 4163 Clairmont Rd. Chamblee Georgia. The range location was Range, Guns & Safes located in Forest Park Georgia. Mr. Jemison qualified with a 40 cal. semi-auto handgun.